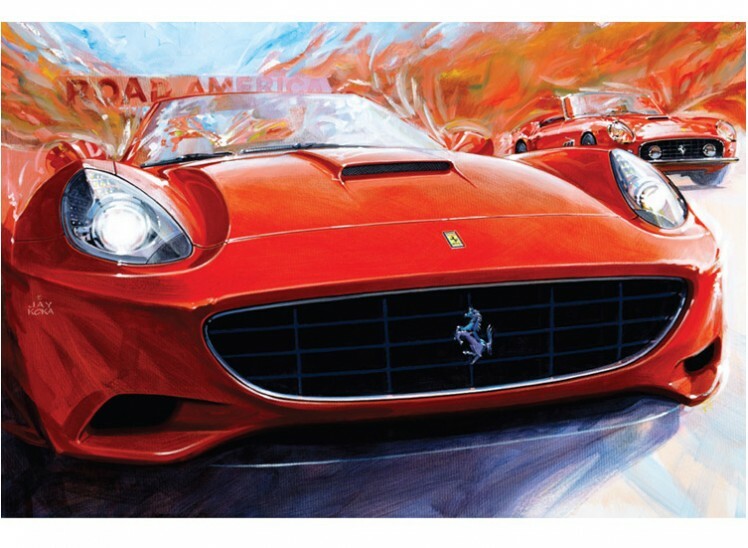 This is one of two paintings that were considered for the Ferrari Club of America 2013 Annual Meet Poster Art and is the art that was finally used. 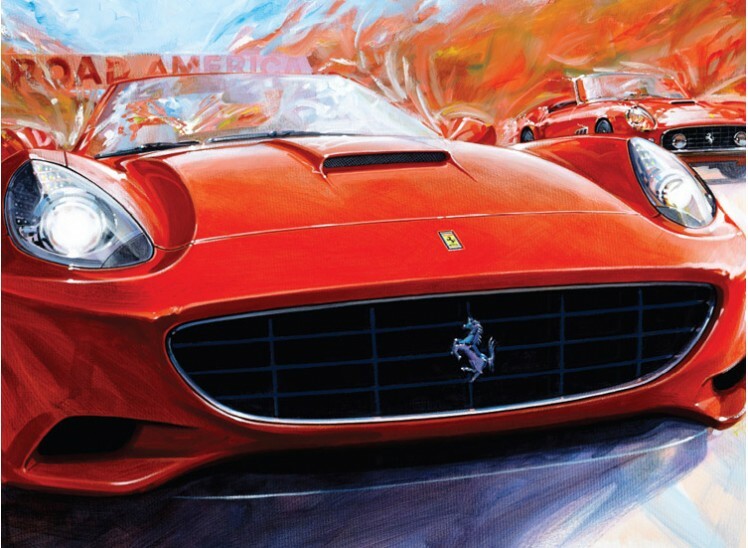 2013 is the 50th anniversary of the Ferrari Club of America. The event was in late July in Elkhart Lake, Wisconsin. Host hotel was the Osthof Inn and track events are at nearby Road America. 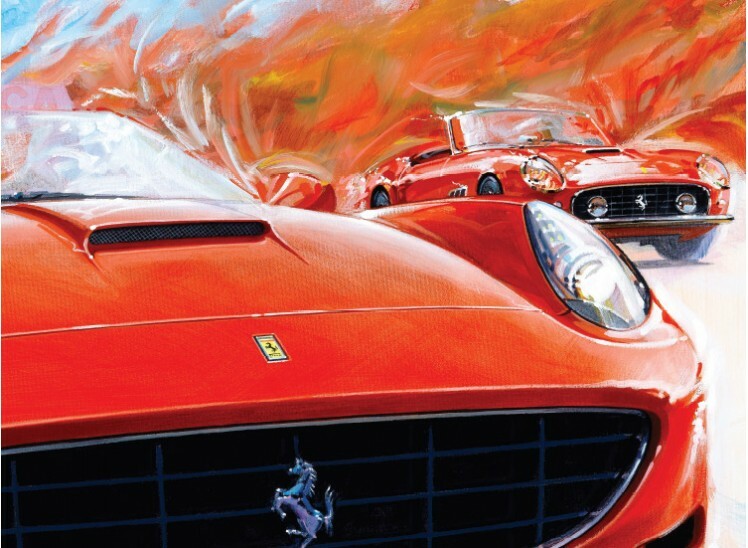 This art features a 2013 and 1963 Ferrari California. SHIPPING: Shipped rolled requiring stretching on arrival. Shipping for Canada and US INCLUDED. For Europe, US$45, please select SHIPPING item from "Shipping, Books&Media" Category. 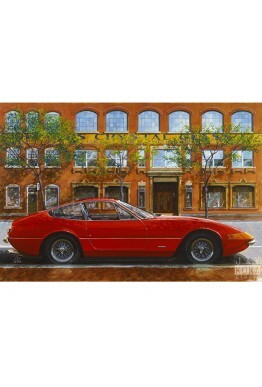 "HAWKES CRYSTAL GLASS" The 2018 Annual Meet of the Ferrari Club of America at Corning New York (a..